Teaching research papers with high school students? Here are guidelines to make this writing unit a success. 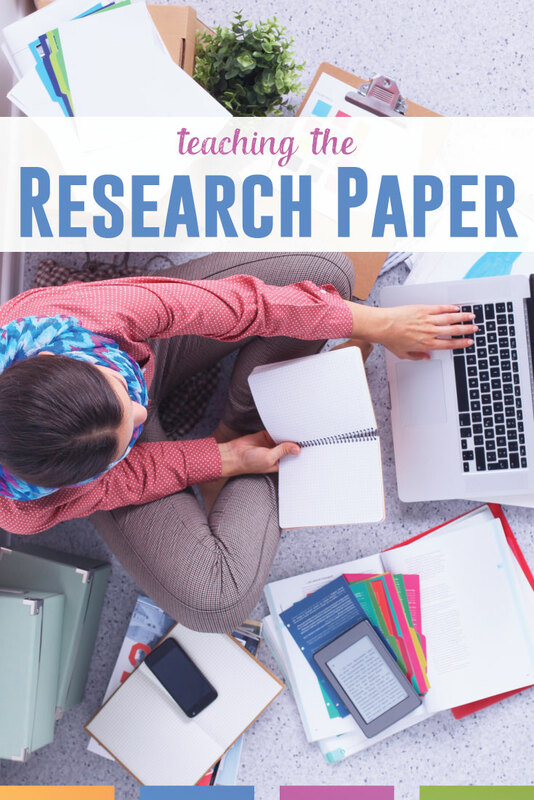 Teaching research papers provides ample opportunities for teachers to provide a strong foundation for future work. In some ways, most professionals create mini-research papers for their careers. As a teacher, I often research methods to help struggling students or the best way to present a concept. That research and my commentary ends up in my lesson plans, in front of administrators or parents, and sometimes in student files. Lawyers, political organizers, advertisers, real estate agents: most jobs require ethical research and then a written report. Providing students with a sustainable foundation is a humbling responsibility. Even after teaching for a decade, I sometimes overwhelm myself with this duty. I handle teaching research papers with these three ideas in my mind. Provide clear expectations. A feeling I always hated as a student was the unknown. Sure, part of the learning process is not knowing everything and making mistakes. I, as the teacher, don’t want to be the source of frustration though. Every teacher grades a little differently. Sometimes, terminology differs. 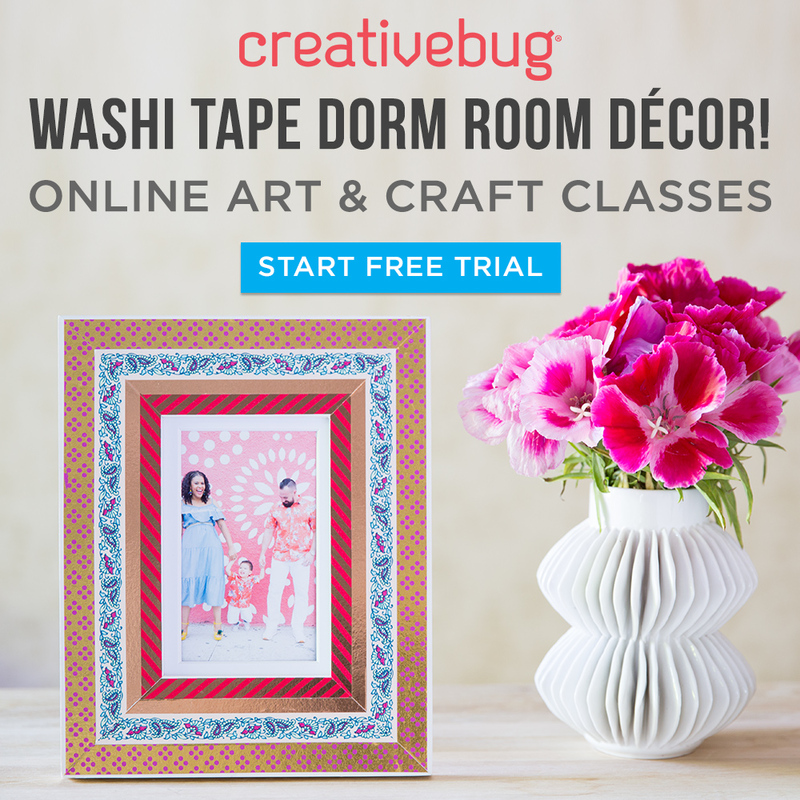 Throw in the stress of research, and you might have a classroom of overwhelmed students. I start every writing unit with clear expectations, terminology, and goals. I cover the presentation with students, and then I upload it to Google Classroom. Students know to consult that presentation for clarity. Initially, covering the basics may seem wasteful, but it saves all of us time because students know my expectations. Stress and model ethical research. I stress to students that conducting oneself with honesty and integrity is crucial to writing. When teaching research papers with high school students, I connect these ethics to their very near futures. Aside from the basics of documenting and citing, I highlight these two points. Thorough research. Accurate research means verifying the information from more than one source. This especially proves true when researching controversial or unclear timelines or materials. For example, I once had a student research a baseball player. The player’s birthdate was unclear. Many sources reported that the birthday provided to the States was a lie; other sources claimed that he was indeed that successful at a young age. The rub was that the student was a huge fan of this player and wanted to discard all research of the debate and present this player as a young miracle. The entire paper’s theme (that this baseball player achieved success at a young age) had questionable research, which is not thorough research. Fair and accurate research means not cherry-picking. Citing material. This includes direct quotes and paraphrasing. I review both of those concepts throughout our research and writing. The majority of a paper should be the writer’s thoughts, supported by research. Students need those concepts repeated, and they are important, so I do. Encourage strong writing. Hopefully, students write with passion. Hopefully, they want to show or prove their statements. 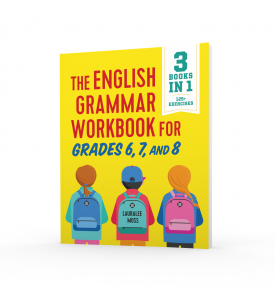 I cover grammar with students (all year), and I always make the connection for them to implement those lessons. Primarily, students will work on strong verbs and syntax. Students possess strong verbs in their vocabularies. Sometimes in writing, humans get lazy. Every verb is a linking verb, and every sentence reads subject + linking verb + predicate adjective. (Nothing is wrong with a linking verb, but students should break from the mold.) Ask students to pick their least favorite paragraph in a research paper and to highlight every verb. Chances are, they are not conveying their message because of weak verbs. Help them turn the predicate adjectives into verbs or think of an action that will convey their meaning. Just as every sentence shouldn’t contain a linking verb, not every sentence should be a simple sentence. Sentence syntax takes practice, and often teamwork! Ask students to provide a sentence that needs improvement. Break the sentence down into phrases and clauses. (If it is a simple sentence, ask for another sentence to attach.) What is the best arrangement? What is the student’s goal? Would a conjunctive adverb lead readers to a conclusion? What if a subordinating conjunction started the sentence, or, should the dependent clause come second in the complex sentence? 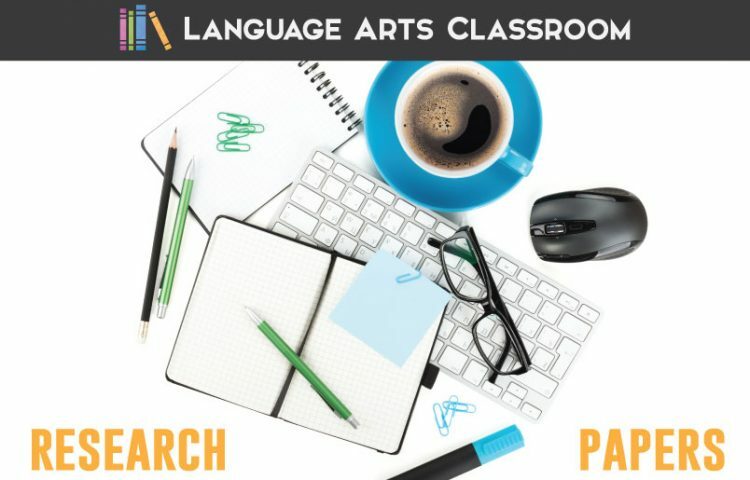 Play with the language of students’ papers! 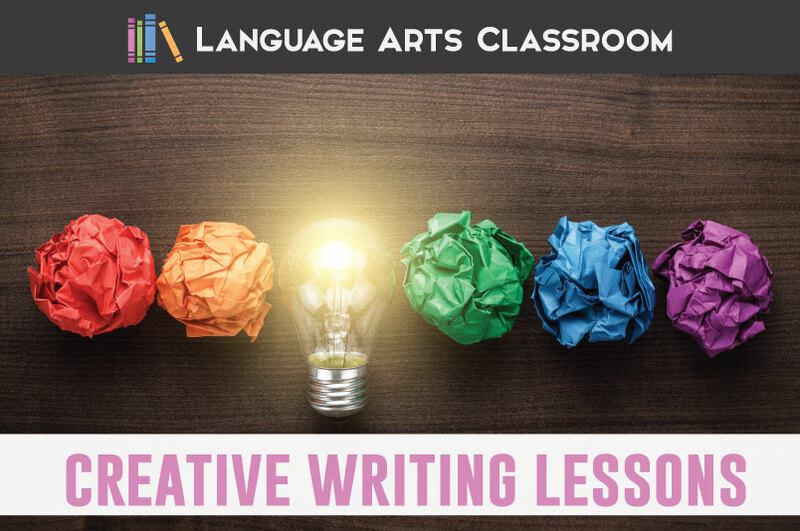 By teaching grammar and language, you have empowered students to improve their writing. All parts of an ELA classroom fit together like puzzle pieces, and when teaching research papers, that neatly assembled puzzle sits on display. By giving students clear expectations, you are ready to guide them through ethical research and through strengthening their writing. 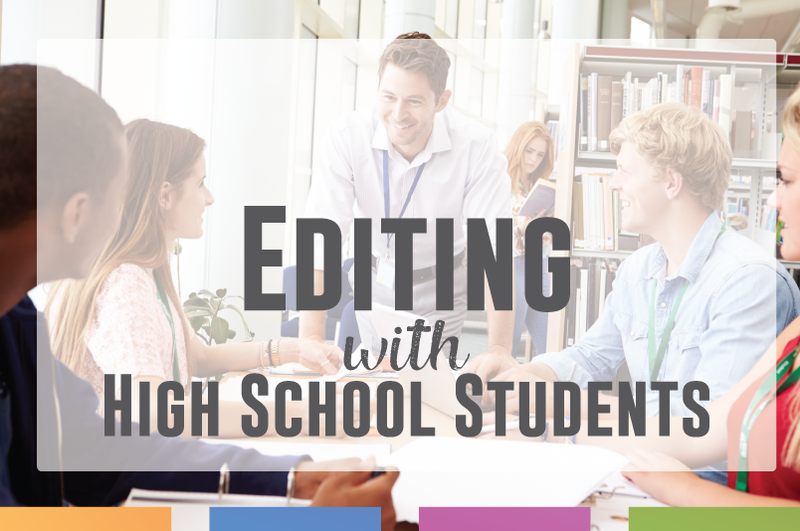 All activities mentioned in this post are included in my writing bundle for freshmen and sophomores. What do you focus on with when teaching research papers? Read how Melissa from Reading and Writing Haven differentiates when teaching research writing.